No cost EMI on DC and CC.No cost EMI on DC and CC. Flat 19000 off.Flat 19000 off. Purely premium beauty in hand, can&apos;t stop obsessing over the display quality and the magnificent camera it comes with. The edge display looks pretty cool. It&apos;s really fast in processing, but almost similar UI. Battery is sufficient to last for your day&apos;s tasks. A phone that&apos;s not only stunning to look at but is also a delight to use. Tons of new features provided by Samsung. The placement of the fingerprint scanner. The totally unneeded Bixby assistant button. Samsung reserved "S Series" for making a true flagship smartphone. for the year 2017 they have launched Galaxy S8 and Galaxy S8 Plus, both smartphones are designed in the same way as Galaxy Edge (having curved display). 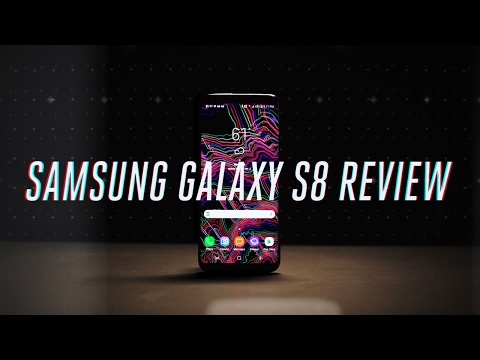 Here Galaxy S8 Launched with key features like 5.8 inches display, Android v7.0 Nougat OS, Snapdragon 835 CPU, 12 MP Primary | 8 MP Secondary Camera, 4 GB RAM, 64/128/256 GB ROM | 256 GB SD Card Support and 3000 mAh battery. No FM Support (Without the internet connection). The Samsung Galaxy S8 is among the most beautiful and powerful smartphones that you can buy today. Absolutely worth it! The infinity display lets you do more. Bezzeless design is an extraordinary thing done by samsung. Heating issues are also faced. Very amazing product. The display is superb. Extremely impresed. 61 Pricebaba users have written their experience with Samsung Galaxy S8. If you own Samsung Galaxy S8, please do leave your feedback too. Lowest price of Samsung Galaxy S8 price in India starts at Rs. 30,990 Samsung Galaxy S8 is available on Flipkart at Rs. 30,990. Prices updated on 23rd April 2019. Samsung Galaxy S8 was 2017's most-awaited flagship smartphone. The smartphone is the successor to Samsung's 2016 flagship device - Galaxy S7. With the Galaxy S8, Samsung made bezel-less displays mainstream and it was dubbed as the Infinity Display. The display on the S8 is a 5.8-inch Super AMOLED module having a super crispy Quad HD resolution of 2960 x 1440 pixels. The display is further enhanced with Corning Gorilla Glass 5 protection. On the design front, the flagship offering from Samsung features a sleek design with curved edges and really aesthetic overall look and feel. In terms of camera, the Galaxy S8 sports a 12-megapixel primary camera located at the back having an aperture of f/1.7. The camera supports PDAF, OIS and is capable of capturing videos in 2160p at 30fps or 1080p at 60fps. On the front, Samsung has equipped the Galaxy S8 with an 8-megapixel selfie camera having an aperture of f/1.7. The front-facing camera is capable of capturing clear images and videos up to 1440p at 30fps. Under its hood, the Samsung Galaxy S8 sports an octa-core Exynos 8895 SoC in India. The Chipset consists of 4 cores clocking at 2.3 GHz whereas the rest clocking at 1.7 GHz. Together with this, the phone also packs in a Mali-G71 MP20 GPU with 4GB of RAM for a seamless experience. In terms of storage, the smartphone ships with 64GB of internal storage which can be expanded up to 256GB through a microSD card. To keep the device powered up through the day, it has been equipped with a 3000 mAh nor-removable Li-ion battery pack. In terms of connectivity, the smartphone ticks all the boxes and offers support for dual-band WiFi, Bluetooth 5.0 with aptX, GPS, NFC and USB 3.1 with a Type-C connector.